David Johnson, Socialist Party (England & Wales), reposted from socialistworld.net. Hundreds of thousands signed a petition collected by followers – often village headmen – throughout the country, demanding that Zaghlul and the others be recognised as speaking for the nation. Wafdist agitation increased, opposing the Egyptian government in the palace. On 8th March 1919, Zaghlul and two other leaders were arrested and deported to Malta the next day. There was no independent working class party that could warn workers against placing confidence in capitalist ministers, put forward a socialist programme – on wages, jobs, housing, land reform – and call for a democratic workers’ state. 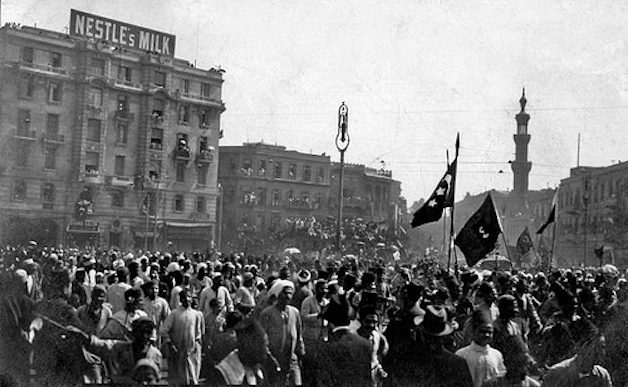 Small socialist groups began to appear in Cairo and Alexandria in 1919 (many of whose members were Greeks or Italians). In 1920, the Socialist Party of Alexandria Workers was set up, which got support from the first Confederation of Egyptian Labour, including over twenty trade unions with 50,000 members.